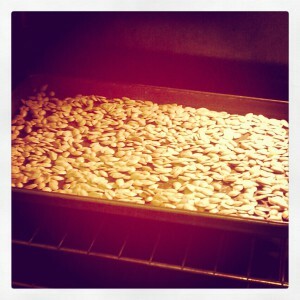 How do you make pumpkin seeds? Today’s Featured Project talks about that very question and shows one of the many ways you can use ^IfMine. 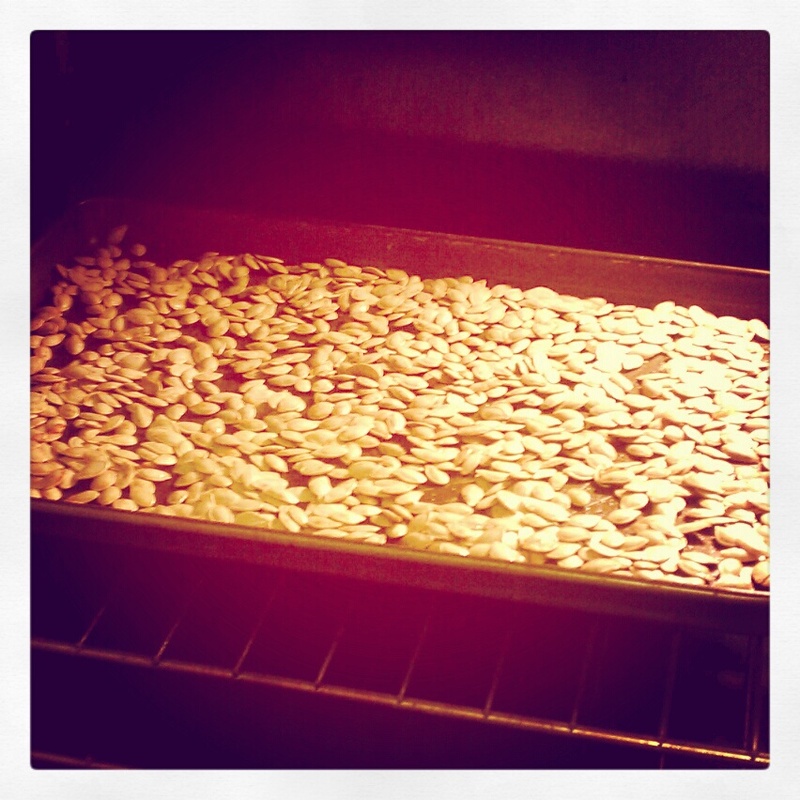 I created the project with a goal of finding the perfect pumpkin seed recipe for my family. After all, pumpkin seeds are considered a “superfood” and loaded with plenty of protein and antioxidants. This is what a typical ^IfMine project looks like. As you can see, it’s still new and as I write this post, there are currently no Collaborators, Mentors or Followers. I invited a handful of people to Collaborate and now waiting on them to accept my invitation. You are more than welcome to join in the conversation. 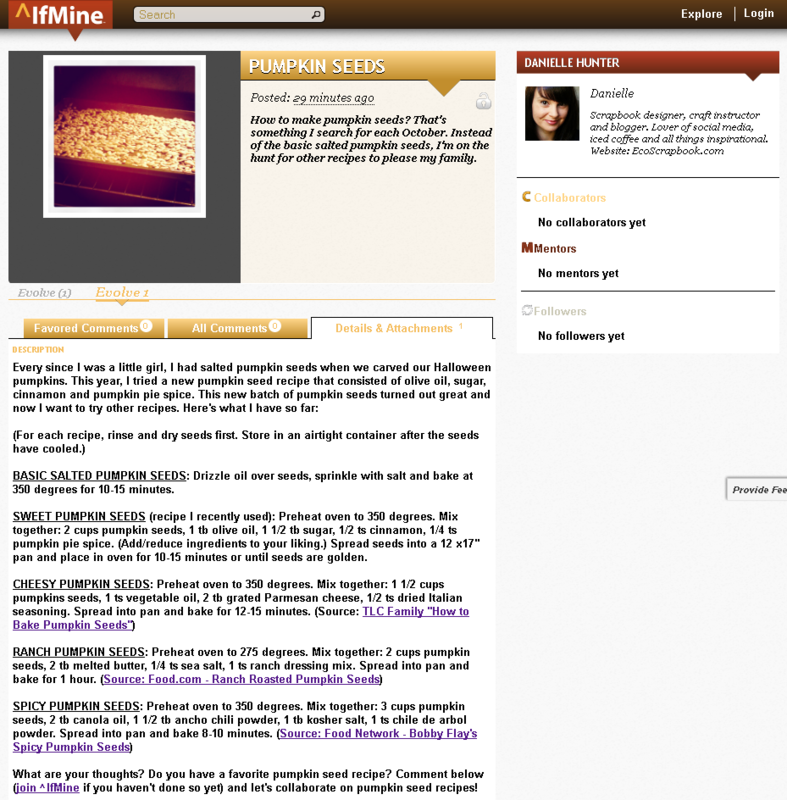 Share your favorite pumpkin seed recipes below or better yet, sign up for ^IfMine and let’s Collaborate together. Want up-to-date ^IfMine information? Follow us on Twitter, Like us on Facebook and Circle us on Google Plus. We’re now on LinkedIn too! This entry was posted in Featured Project and tagged collaboration tool, project feedback, project management tool, ^IfMine project by Danielle. Bookmark the permalink.